Reindeer made of felt. 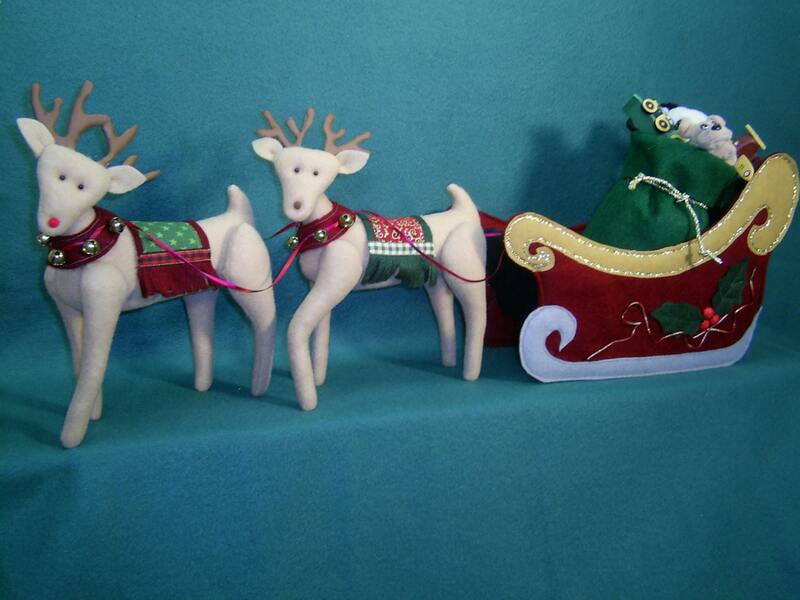 Sleigh made of felt and stiffened. Lots of detail. Can personalize reindeer blankets with children or grandchildren's names. Make as many reindeer as you need. 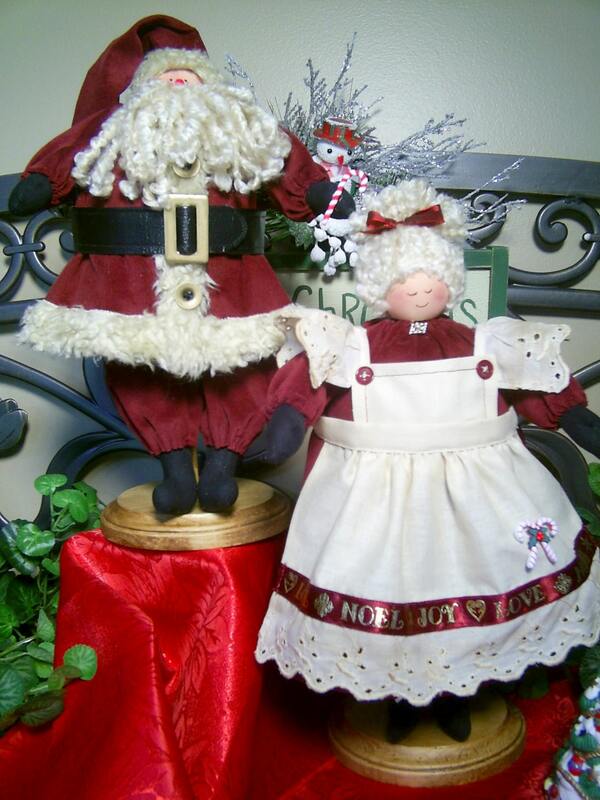 This pattern is sized to go with MaMa and Pap Pap Claus pattern #116-see attached photo. ( Pattern sold separately) Easy to make. Great for home Christmas decoration or Christmas craft fair item. Mailed pattern includes easy to follow instructions, sleigh pattern, reindeer pattern and a complete suggested materials list. Finished dolls made by you personally and sold on the internet and at local craft shows.